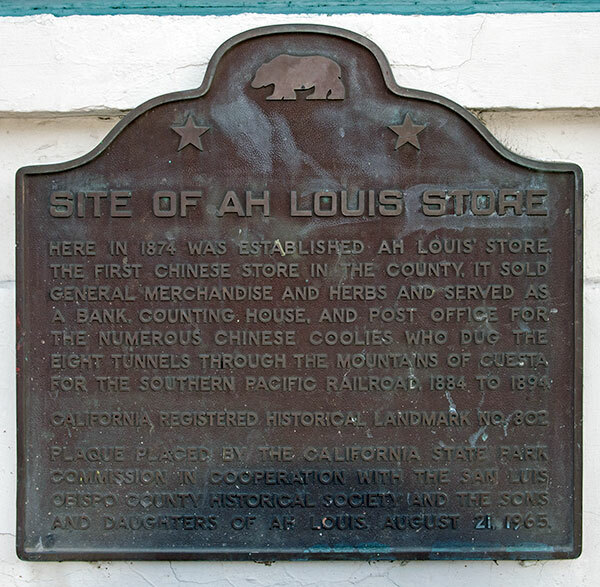 Here in 1874 was established Ah Louis' Store, the first Chinese store in the county. It sold general merchandise and herbs and served as a bank, counting house, and post office for the numerous Chinese coolies who dug the eight tunnels through the Mountains of Cuesta for the Southern Pacific Railroad, 1884 to 1894. Plaque placed by the California State Park Commission in cooperation with the San Luis Obispo County Historical Society and the Sons and Daughters of Ah Louis, August 21, 1965. 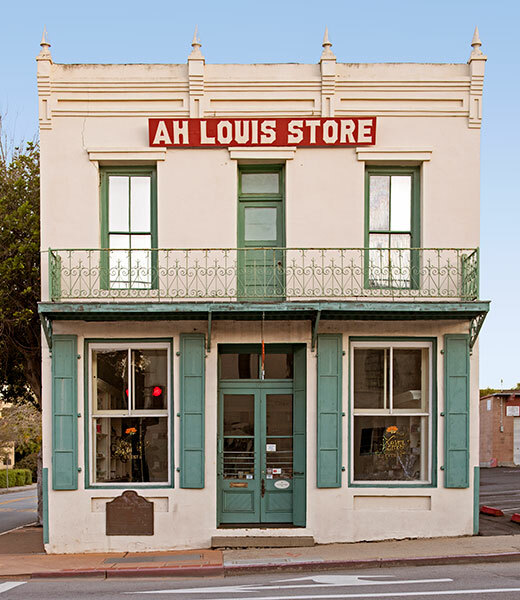 The Ah Louis Store is also listed on the National Register of Historic Places.